The smart-home market is growing and it’s giving insurance companies a way to enhance their offerings, presenting customers with a new, ‘living’ value proposition. Despite barriers to entry, disruptors are already appearing to take advantage of the new opportunities. Insurance leaders too are moving fast to stake a claim. How big is the smart-home market and how fast is it growing? IHS Markit says global sales of smart-home devices will grow from $80 million in 2016 to reach $319 million in 2020. Statista predicts that smart-home market revenues will rise from $8.8 billion in 2017 to $20.8 billion in 2020. However, uptake remains relatively small. Globally, in 2025, only 10 percent of households are forecast to be considered smart homes, says IHS Markit. In the US, currently the biggest market for smart-home devices, IHS Markit says only 7 percent of households will be connected homes by the end of 2017. A Parks Associates report looking at the European market finds that over 50 percent of broadband households in the UK, Germany, and Spain are “not at all familiar” with smart-home products or services. From these forecasts it seems mass-market adoption will be gradual and could take as much as another decade. Or will it? The smart-home marketplace is crowded, served by a complex ecosystem of players across multiple industries offering products, services, platforms and solutions. Devices use divergent standards (e.g., wireless standards), and even as established appliance manufacturers like GE, Bosch and Samsung begin to add connectivity to their units, no clear leaders are emerging yet. This makes integrating and managing devices difficult, and is playing a role in the choices of consumers. Device manufacturers, and platform and hub players do recognize the value of open platform integration and are working toward it. In the meantime, there is another catalyst that promises to do more to drive smart-home device adoption. Recent advancements in artificial intelligence (AI), machine learning and natural language processing are coming to the rescue. 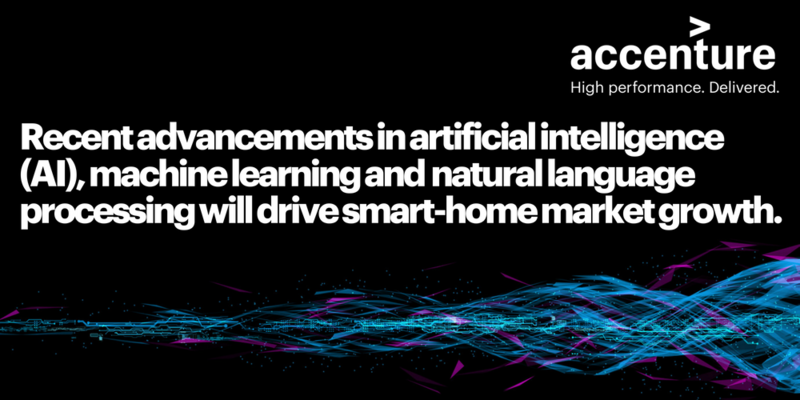 The AI-driven, voice activated virtual personal assistants (VPAs) of Amazon (the Alexa-enabled Echo devices), Alphabet (Google Home) and Apple (HomePod) are driving uptake momentum by making smart-home devices easier to integrate and control. They are joined by other platform and hub players, like Samsung’s SmartThings and the cable company Comcast’s Converge-powered smart-home platforms used by Telstra and other multiple service operators. 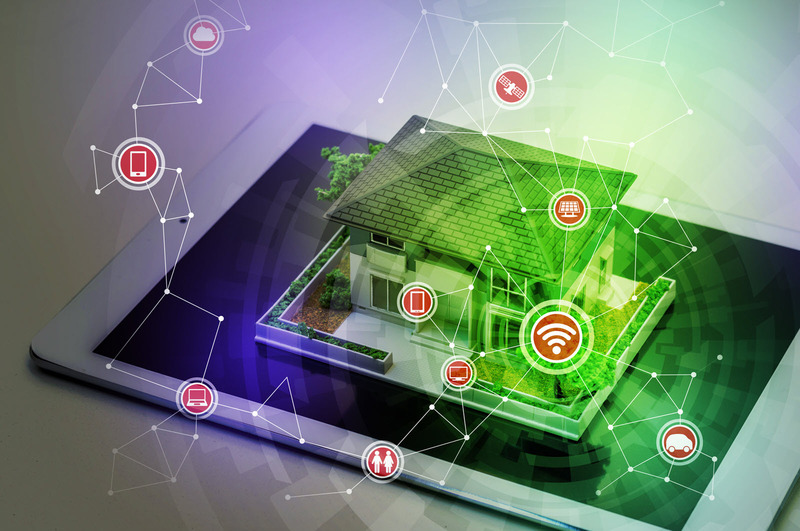 Stand-alone smart-home technologies remain important, however, as they overwhelmingly power current smart-home insurance offerings. Security—Sophisticated alarm systems detect intrusions and can call home owners, contact centers or law enforcement authorities; they can trigger photographs or video footage. Water—Sensors can detect water leaks from tanks or appliances, contact home owners and even shut off the water supply if necessary. Thermostats—Smart thermostats can now track residents’ activities and routines and control temperatures in response. Fire alarms—Detectors can distinguish between steam and smoke and shut off appliances. Weather—Sensors can prevent damage, moving shades up or down or closing doors automatically. 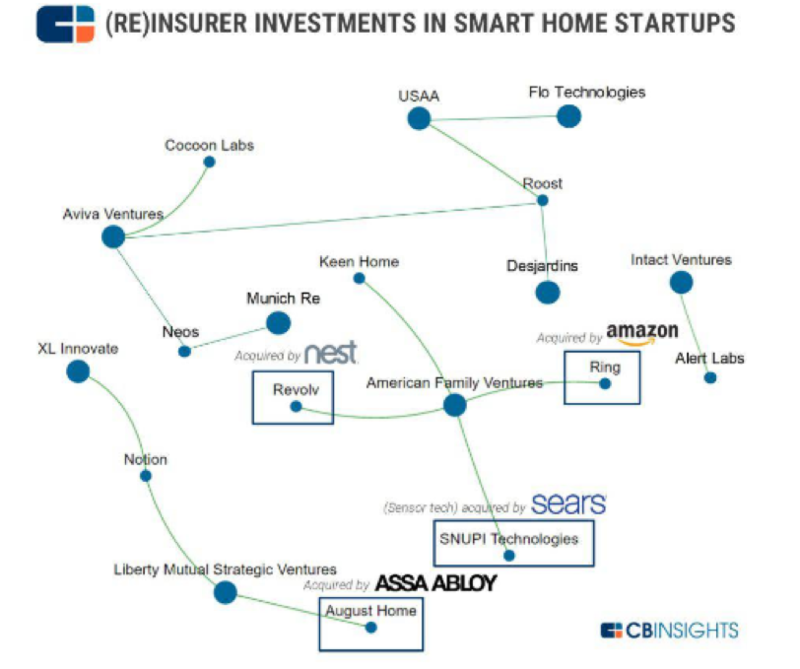 How are born-digital insurance disruptors entering the smart-home market? UK-based Neos is a great example. Neos offers connected-home insurance at a price-competitive £15 to £50 (US$20 to $67) per month. This includes comprehensive insurance cover and all the necessary hardware (cameras, motion sensors and smoke detectors), 24/7 monitoring and alerts to homeowners (notifying them of a break-in, water leak, fire or a door accidently left open) and assistance to get the right tradespeople out to address problems. Neos, which counts insurers Aviva and Munich Re as investors, is product-agnostic in terms of the smart-home technology it uses, although it has developed its own smart water valve to meet its specific needs. It has also built its own hub to integrate third-party devices into its platform. How are established insurers responding? There are numerous examples of forward-thinking insurers establishing relationships with tech providers in the smart-home sector and acquiring technology solutions to create innovative smart-home solutions. But there are also more innovative solutions and partnerships being created around smart-home services. Aviva underwrites home assistance products for HomeServe’s 2.2 million customers. HomeServe is a UK-based home emergency repairs business. Aviva initially established a partnership with HomeServe through its LeakBot detector, offering it to its customers. Aviva Response was developed in conjunction with HomeServe to support customers in the event of problems around the home, including gas boiler breakdowns, plumbing issues and electrical wiring emergencies. Cover is available from Aviva, while repairs and servicing are carried out by HomeServe’s UK-wide team of engineers. AXA is using emerging IoT-based technologies to redefine its offerings. It is partnering with award-winning connected-device manufacturers and ultimately plans to control all these devices remotely from its mobile application “My AXA”. AXA’s future offer will be coupled with its 24/7 assistance in order to send help if an emergency is detected at a customer’s home. The smart home represents an exciting emerging market for insurers, with a huge opportunity for innovative players. I would love to hear what your organization is doing in this sector and what elements you believe will play a key role in shaping smart-home ecosystems. Feel free to reach out to me.